Red Bull Street Fighter pro Darryl ‘Snake Eyez’ Lewis is one of the strongest Street Fighter players in the world today and was one of the few American players that took part at the Capcom Cup a few weeks back. You can close your own eyes and imagine his climb from the streets of Actual Compton; his defeat at the hands of Daigo during EVO 2015; the trip to Japan to train with the world’s best players and the grand finalé at Capcom Cup. Or you can watch dedicated documentary series Cultivation, each episode of which we’ll be hosting right here. Getting ready for the next instalment? 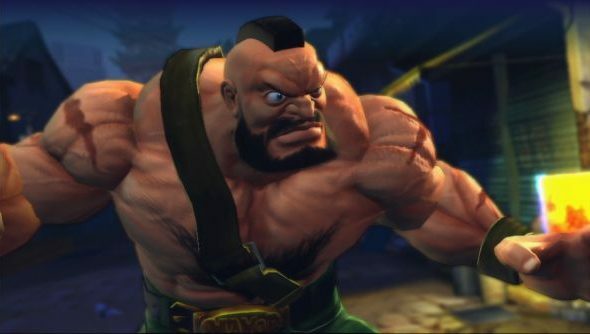 Check out the Street Fighter V character list. Update 16th Dec, 2015:Episode six was released yesterday and rounds off the series, Daryll’s journey and Street Fighter 4’s time as the top fighting game in the world. A fitting end to the series, and well done to fate and the Street Fighter gods for setting up the perfect results and brackets at Capcom Cup for Red Bull to follow. SnakeEyez did have the best finish of the Americans at the event, solidifying his spot as the US’ last, best SF4 player before the game is put to rest. Overall I think the series has been great and I’d like to see more personal stories focused on single players like this. As more and more money floods in and out of e-sports, it’s inevitable that people will want to know more about it, and humanising these players will go a long way to appealing to those on the outside, as well as dedicated fans. As for SnakeEyez, he has a fantastic few years of SF5 ahead of him, if this is any indication. This week’s bonus episode is backstage at Capcom Cup with SnakeEyez showing what it’s like, as well as going over how his first round loss to Keoma occured. One thing has stuck with me through all this and that’s how humble and friendly SnakeEyez seems. There are a lot of different personalities within professional gaming, and most are a lot nicer once they’re off-camera, not constantly under pressure from fans and no longer performing. However, Daryll seems to have a smile on his face at all times, even when losing the most important games of his career, and that’s great to see. There are far too many salty folks out there already. Update 8th Dec, 2015:Episode five is now available, where Snake Eyez goes to SoCal Regionals after coming back from Japan and puts what he learned to the test. Obviously released slightly out of sync with their plan, this is a good summation of what the run up to Capcom Cup was like not only for Snake Eyez but a host of players. He ended up losing his first round match to the hero of the tournament, Brazillian Abel Keoma. Daryll then made an immense lower bracket run to get into top 8 and earn some real money, solidifying himself as the best American player when so many others lost 0-2 or were otherwise put out early. Presumably, we’ll hear all about that from Red Bull soon. Update 1st Dec, 2015:The latest episode is now available, showing Snake Eyez’ attempt to win the tournament at Tokyo Game Show 2015, arguably one of the most competitive on the profession circuit due to the high concentration of Japanese players – the best in the world. This series is still in a very strange place for me, sitting solidly half way between a lot of assumed knowledge about the game and explaining quite basic concepts. I’m enjoying it as a personal story of a player I’ve enjoyed watching, but still unsure about that wider audience. Still, putting lives, faces and names to gamertags and character selections is a good pursuit and helps to humanise them. This week’s bonus clip is a collection of behind-the-scenes footage from Darryl’s trip and the time spent filming. Capcom have also been releasing their own videos previewing the Capcom Cup, with each focused on a single player. Their Snake Eyez episode is available now. Update 24th Nov, 2015:Slap your eyes on the third episode below. In this episode, Snake Eyez hits Japan, the home of Street Fighter. There’s a bonus clip, as well, following Snake Eyez as he gets his fortune read during his trip to Japan. What have you lovely lot made of the series so far? Update 17th Nov, 2015:The second episode is now available, covering a little bit more of Darryl’s origins, as well as his trip to EVO this year and eventual defeat by master of all things shoryuken Daigo. There’s also a bonus episode of a short interview with the excellent James Chen, old-old-school Street Fighter player and now-caster. I’ve found the series pretty interesting so far. The serious tone is appreciated, though it seems a little stuck in a half-way house between not explaining the very basics of Street Fighter but needing to introduce knowledge of something like EVO. It’s appealing to a casual Street Fighter fan like me, and probably to gamers who are a little less into the scene than I am, but doesn’t seem applicable to a wider audience in the same way something like Valve’s Free To Play was. Not sure about the calligraphy motif either. Still, as the massive library of e-sports documentaries swells, one focused on an individual player’s journey is neat and I’m looking forward to more. You can see the first episode and trailer for Cultivation below. Update 10th Sep, 2015:The first episode is live now. Watch it below. Original story 5th Sep, 2015: Produced by Red Bull’s in-house media team, Cultivation will eventually consist of five episodes and a behind-the-scenes special. The first installment lands on November 10th, and new episodes will appear on the Red Bull channel each week until December 15th. Red Bull will be working down to the wire to produce them: the final episode will concern the San Francisco Capcom Cup, which doesn’t happen until the weekend of December 5th and 6th. Ought to be worth it, though: they reckon Snake Eyez is the finest up-and-coming digital fisticuffs expert in North America. Here’s the teaser trailer for now. We’ll update this post every time a new episode hits, and should have a chronicle of one young man’s journey to the top of refined button-mashing by the end. Sound like your sort of thing?